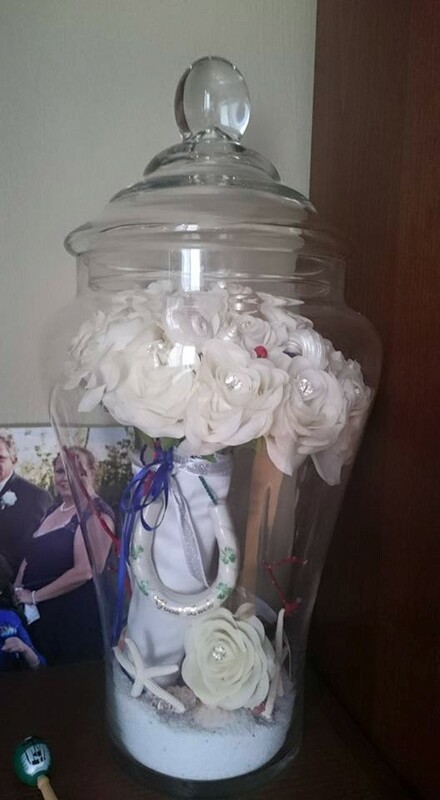 I made this last week (almost a year after my wedding) for my bouquet and DH's bout. I think it turned out awesome, and wanted to share in case anyone else was looking for ideas on what to do with a faux flower bouquet after the wedding day. It's a vase from Marshall's Home Goods, and some dollar store sand and shells. I had the mini starfish left over from the wedding.